The Marcus Lewis Big Band teams up with Kadesh Flow as 2/3'rds of "Brass and Boujee". Marcus did the arrangement and Kadesh wrote the flows to this Hunter x Hunter inspired BANGER! It's not often that you get Hunter x Hunter Raps. So enjoy this one. Hunter x Hunter rap, fresh delivered. Kadesh Flow is a Billboard charting rapper, trombonist, and producer who has been wowing both suspecting and unsuspecting listeners with his musical versatility since his early teens. At age 11, 'Desh, as many of his listeners call him, began rapping and playing trombone within two weeks of one another. Now, Desh actively blends his jazz and hip hop backgrounds into riveting musical performances that boast personal, dexterous lyricism and bold, virtuosic trombone playing. Kadesh's wide reaching content hops from socioeconomic musings to life bars that are laced with anime and video game references, some of which have led to placement opportunities with Toonami Asia and various documentaries and web series. He also boasts performances supporting artists such as Janelle Monae, Dave East, The Revivalists, Tech N9ne, Phora, Naughty by Nature, Caroline Shines, mc chris, I Fight Dragons, and numerous other prolific acts. Kadesh is a member of the NPC (Nerdy People of Color) Collective, through which he is working with Founding Member Mega Ran and fellow NPCs such as Sammus and Richie Branson to both collaborate on fun, relevant content and foster a community for underrepresented nerd enthusiasts. 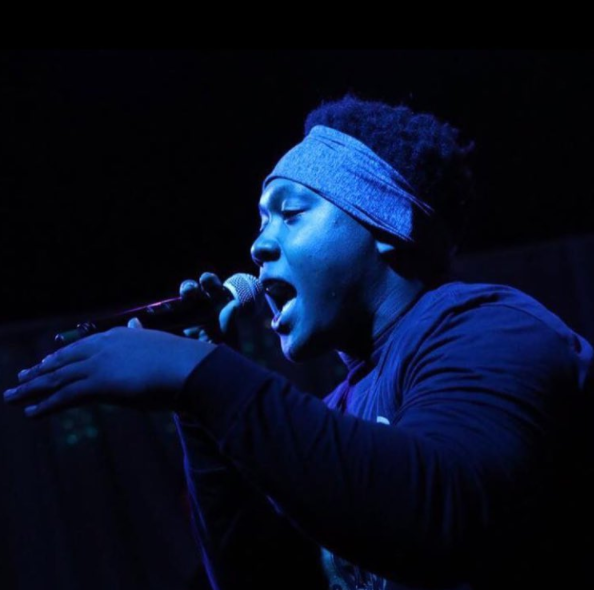 Currently he is lighting up stages around the country, gracing such events as Official SXSW Showcases, MAGFest, PAX Prime, FanExpo: Dallas, Anime Expo & Otakon, as well as various music venues throughout the country. - Contributed original instrumentals and compositions to this FUNimation backed documentary depicting a One Piece anime dedicated podcast's (The One Piece Podcast) journey to Japan to discover more about the show's origins. - Wrote, arranged, performed, and engineered original theme music for this web-series by one of film's rising stars, Xavier Burgin. - Wrote, arranged, performed, and engineered original theme music for Nami, the animated host for Toonami Asia, when Turner Broadcasting relaunched the animated toon block in Southeast Asia in late 2013.